Do you have a plumbing emergency in Chula Vista, California? Blue Planet Drains and Plumbing is located at 2252 Main Street in Chula Vista, California. We provide 24/7 commercial and residential plumbing services to all Chula Vista. Blue Planet is family owned and operated. All our plumbers are uniformed, licensed plumbing and drain specialists that went trough extensive training. 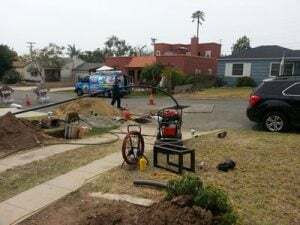 Our plumbing trucks are fully equipped to handle any plumbing emergency in Chula Vista such as gas leaks, broken sump pumps or pipes, broken water heaters, sewage back ups, etc. We have excellent references from commercial and residential clients in Chula Vista that have used our services before. Blue Planet is ready for your drain cleaning needs in Chula Vista, California, including the toughest problems with home kitchen and restaurant grease clogs. Snaking (also called cabling) solves most problems, but often provides only temporary relief from extensive build up of grease and grime. Based on an in-pipe camera inspection we may recommend hydro jetting. This method of drain cleaning uses high-pressure water and special nozzles to scrub the insides of pipes, clearing out all grease, sludge, and even debris to leave the inside of your drains in like-new condition. 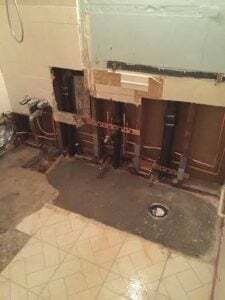 Older plumbing, especially the galvanized pipes installed in the 1970s and before can spring a leak just about anywhere. But that can even be an issue for copper piping. Have you noticed damp, warm, or discolored spots? A wet spot or extra-lush area of grass outdoors? Don’t ignore these symptoms or you’re likely to end up with mold, water damage, and even structural damage. Yet the actual problem might not be at the same place as where symptoms show up. 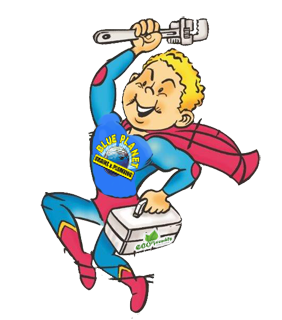 Fortunately with Blue Planet there’s no longer any need to break into walls, floors, or ceilings in an ongoing effort to track down the problem as is often the case with other Coronado local plumbers. 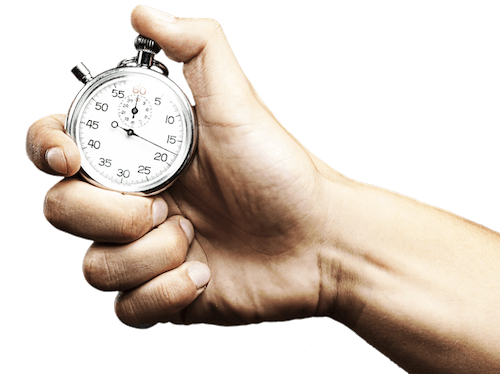 Blue Planet specialists use the latest in electronic leak detection instruments. After a sensitive pressure test to determine if there is indeed a problem we’ll first use special gear to determine the location of hidden pipes. Then we’ll use electronic leak detection meters to trace down those pipes and pinpoint the problem. In some situations we may pressurize pipes with a a safe eco-friendly gas and use our acoustic gear to track down the hiss of escaping gas. Various types of pipes — water supply, hot and cold water lines, sewer lines, radiant heating, and so on — may lie underneath the concrete floor slab. That makes both detection and repair especially difficult. You may only notice tell-tale symptoms such as odors or mildew on carpet, or nothing other than an increase in usage on your water bill. Ignoring these clues could lead to big problems. Water released under the slab slowly but surely erodes the ground beneath the building, usually leading to uneven settling to cracks in the floor (often hidden by carpet or other flooring), walls, or even ceiling and eventually significant structural damage. To make matters worse, removing flooring and breaking through concrete is expensive and a major inconvenience. So precise location is especially important, and guides the choice of solution that minimizes disruption and costs. Depending on the location of the problem and the overall condition of your plumbing you should have at least a couple of options. Spot slab leak repair jack-hammers through the slab and replaces the bad section of pipe. Re-piping solves the current issues and makes future fixes easier by re-routing new pipes around the outside of the slab floor. For several small holes in the pipe it may be possible to coat the existing pipe with a non-toxic inner lining.